I don't know about you, but I love a good spring clean. Whilst I have a regular cleaning routine, and try to consistently declutter my home, there is something very freeing about setting aside time in a season where new life surrounds us. Now you may be thinking, well that's nice Jade, but what does this have to do with books? 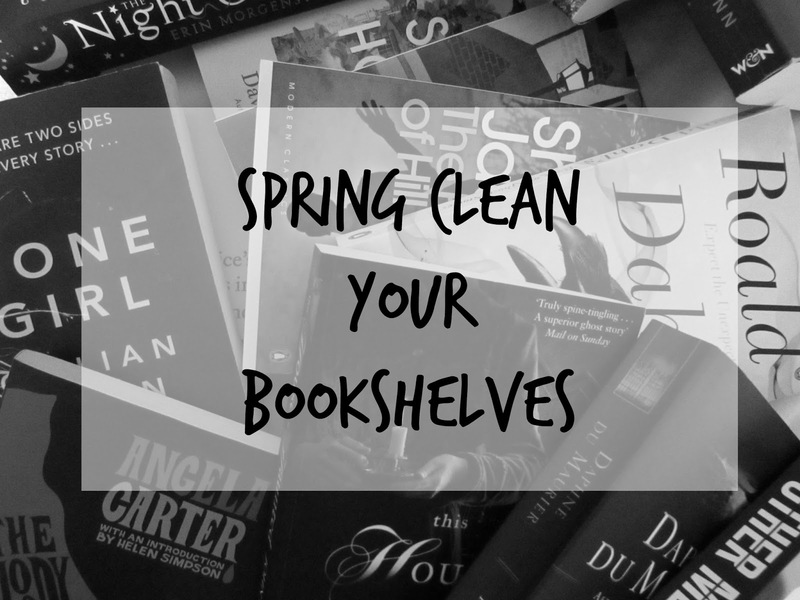 I have one question for you... Are your bookshelves on your spring cleaning list? I think this is one of the things that definitely puts people off spring cleaning their bookshelves, as well as completing book inventories - you need to commit a solid chunk of time to undertake the task. If you're going to begin cleaning your shelves only to be distracted, needed elsewhere, or just plain fed up in an hour or so, then there isn't any point beginning. Spring cleaning your bookshelves is a lot easier when done all in one fell swoop. Whether you have 50 books, 105, or even 550, you need to pull them all out. Every single one of them. The ones from your primary shelves, the ones sitting on your bedside table, the one you keep in your bag for those just in case moments. Every single book. If you have multiple bookshelves in various rooms, pick the one in which to complete this task, with all books coming together in one big pile. Whilst you're taking each book off, dust it... This is going to make the task easier in the long run. Having dusted your books individually, it's now time to dust off your shelves. And just like your books, that's every single one of them. Spring cleaning isn't just about the act of cleaning; it is also a time to look at what you have and evaluate what to keep and what not to keep - do you need everything you own? Of course, books aren't just something you measure by 'do you need it' and so I have a few helpful questions to ask yourself regarding your book collection. How long have you owned the book? If you've owned an unread book for more than two or three years... It's likely time you let go of it. Set up two piles of your unread books - those you've only owned a short period of time and those that have sat collecting dust longer. Place the unread books you've owned less time in your pile of keep books, and then come back to your other stack. You can either automatically place these books in a donate pile, or you can comb through them one more time and see if there are any titles you know you want to read, and soon. If you find you have books in your unread pile that you've owned a good amount of time and still hold on hope of reading, then by all means keep them, but I'd recommend putting a time limit on them. Say, if they haven't been read in the next six months then there's a high chance you won't get round to reading them and it's time to let them go to someone else who may love and enjoy them. Did you enjoy your reading experience of the book? If the answer to this question is no, then what are you even holding on to the book for?! If you didn't enjoy the book the first time, then you certainly aren't going to revisit the book in the future. Give the book a new home. This is my number one question. After I've read any book, I ask myself this question before placing it into my book collection. If I don't see myself rereading a book in the future, then it gets placed in my donations bag... And the key here is to not look back. If you answer this question with a no, then place it in your very own donation pile. But it has sentimental value you say. So and so gave me this book as a gift, I met the author at an event, I have a signed edition. Whilst this task is about being honest with yourself and decreasing the amount of books you own, we aren't being ruthless! Whilst the examples I mentioned are valid and true points, don't be trying to find excuses for each and every book. You'll now have either two or three stacks of books: one pile of books to keep, one pile of books to donate, and one pile of unread books you aren't sure about. I would recommend going over that last pile of books just the once more before fully committing to all the titles there. Now it's time to replace all those books you intend to keep. You may be tired at this point, so over seeing books upon books upon books, but have fun with this step. Take a book inventory, switch up the way in which you previously stored your books, look to Pinterest for ideas and inspiration. If you have that third pile, a collection of unread books that you aren't ready to donate yet, then I recommend keeping these books to one side as opposed to interspersing them with the rest of your collection - not only are you more likely to read them sooner, but you'll also be reminded to get rid of them after your chosen period of time has passed. Last, but by no means least, is the task of donating your books - the sooner you get these books out of your house, the better. There are a multitude of places that'll happily take your unwanted books: friends and family, your local library or even school, charity shops / thrift stores, book swap or even give them away on social media. If you'd rather make a little extra cash from your books as opposed to donating them, then you can always sell them on eBay or other market place sites. Now you can step back and admire your hard work and dedication, feeling lighter for it. This is a great post and something I need to do!! My shelves are a mess and I need to get rid of some to make room. Bookshelves so easily get messy... I know mine do! This time of year is great for it. Helpful post. I do this fairly often. I love purging and donating/trading books. Most of the books I read end up going to new homes. It keeps the shelves looking nice and gives me less stuff to dust. I like that process AJ - a good number of the books I buy go to new homes also. I donated a bunch of books recently and it was such a good feeling. I'd always kept every single book I bought, but have totally changed my tune on that front recently. Plus, I read mostly on a Kindle now, so there are far less books coming into the house these days. I feel like a lot of people are reading more on their Kindles these days, especially in book blogging community. I prefer to read physical books, but I'm even finding myself buying more e-books. Donating books and getting rid of some clutter gives you such a good feeling afterwards. I'm not 100% certain on the rules of ARCs, however I think you're right in that they can't be donated. I know a lot of people put them on social media to share with others in the book community. I think talking to the publisher directly and finding out specific rules would be a good idea. I can see how it would be! I definitely need to do this. But I have so many books! And such a hard time letting go of the ones that I won't ever read or reread. But your method sounds like a really good way of evaluating each book honestly and actually doing something about it. If the book is already off of your shelf, it takes just as much effort to put it back on as it does to put it in the donation pile. Hopefully I can convince myself to try this soon! It can be such a overwhelming task, especially when you have a lot of books! I hope you get a chance to go through your books, even if in a condensed way to these steps. I did this last summer and donated So many books. I read almost exclusively electronically now, so I won't be building the collection back up. It feels good to have less! Nice post! I don't, um, dust my books nearly enough but maybe this can motivate me to do so for spring lol. And I do need to cull some books, probably. 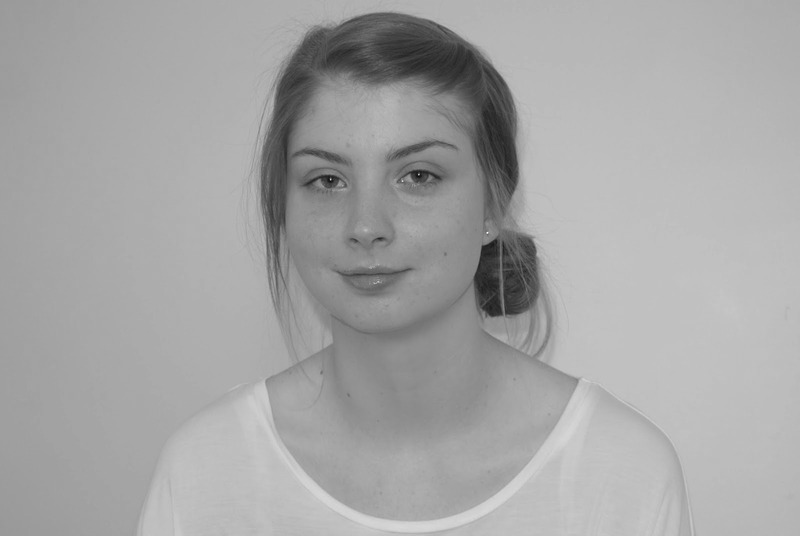 :) It is fun to take stock, occasionally. And I've been seeing all these color coordinated shelving on Instagram and I'm tempted to try it! I used to be terrible at dusting my books... I just dusted around them! Oops! I love the colour coordinated bookshelves - you should give it a try!